On a warm Sunday evening in Thainatown we follow the sounds of Thai music coming out of the Chamberlain Hotel and find the place is packed and the food is flying out of the bistro, Sabb Verr. 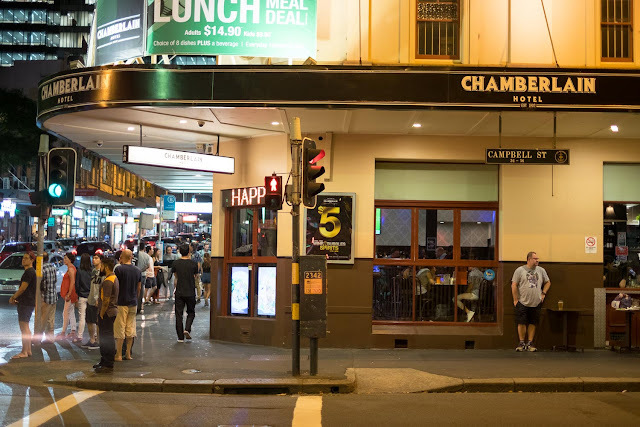 Sometimes the weather in Sydney can get hot and humid, giving the place a sticky and sweaty feel like a you're really somewhere in south east Asia. When we went to Manila it was less humid than Sydney in summer! 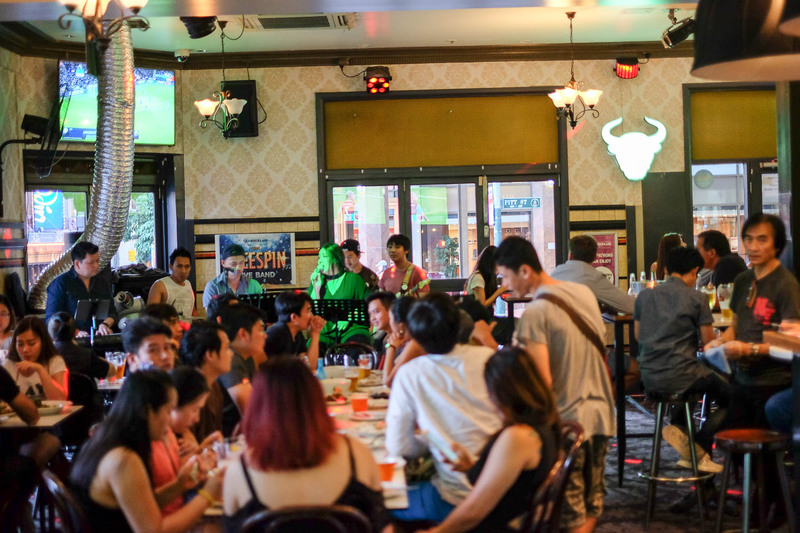 So on a hot Sydney night, walking down Pitt Street past the string of Thai places, we thought we'd been transported to a suburb of Bangkok or a Ko Samui bar when we heard the sounds of a live Thai band and spied a pub packed full of Thai expats. 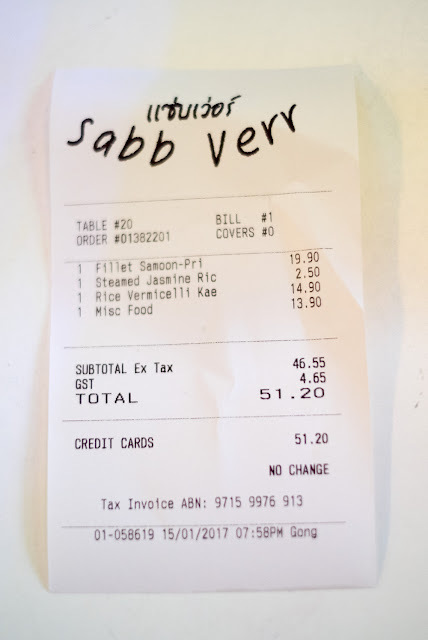 We were lucky we found the last small table available. Long tables were nabbed by groups and laid out with food, drinks and conversation flying. The band played, the food sailed out of the bistro and the place was buzzing. Looking at the menu we noticed something familiar about the dishes, we were sure we had seen prawn potato wraps before. Looking up at the pass we noticed someone there who made it all make sense - Chef Wit from Tiger Cave in Eating World! By the time we got to the back of the menu, where there was a range of western style dishes like the ones in the food court stall, everything fell into place. Ordering is pub bistro style, place your order at the counter and you'll be given a buzzer to collect when ready. 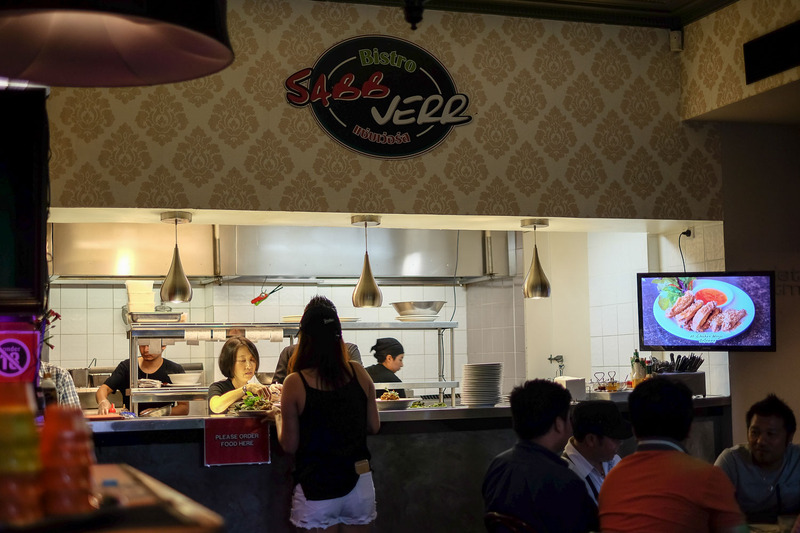 The folk behind the counter are super friendly and will help you with some of the different dishes and give you an idea if something is going to be spicy. 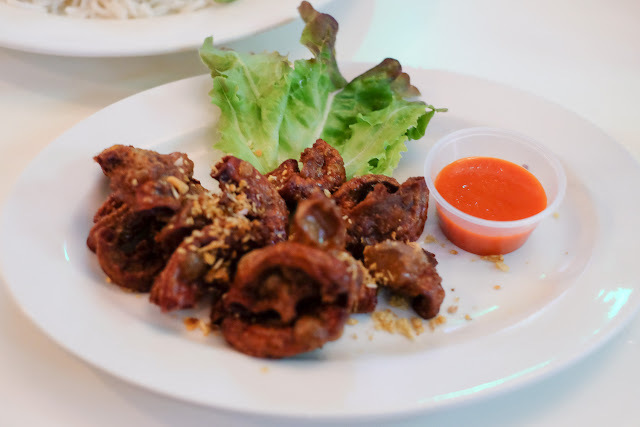 We started with some drinking snacks, deep fried intestines ($13.90). These crisp offaly morsels went down well with a schooner. Possibly the pub location made them one of the favourite dishes, we saw a number at a time come out of the bistro. 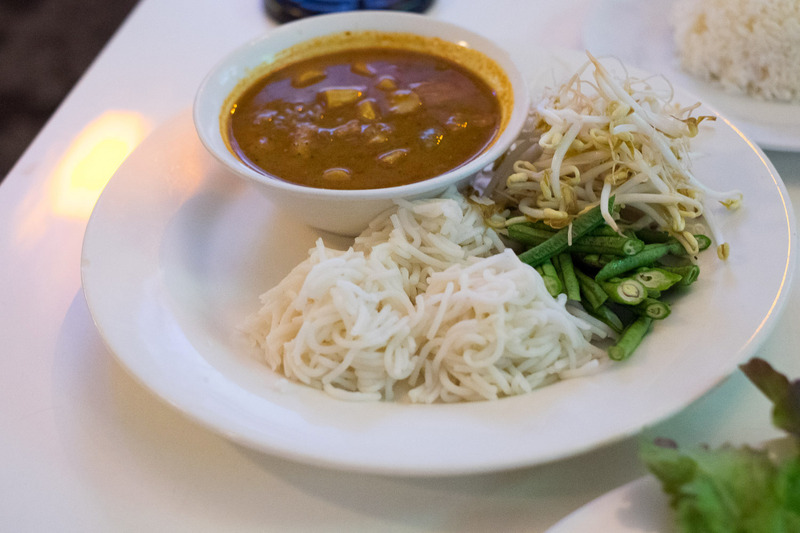 Trying to balance out the crunch, we tried rice vermicelli kaeng tai pla ($14.90), a warning on the spiciness was given but the heat wasn't too far gone. 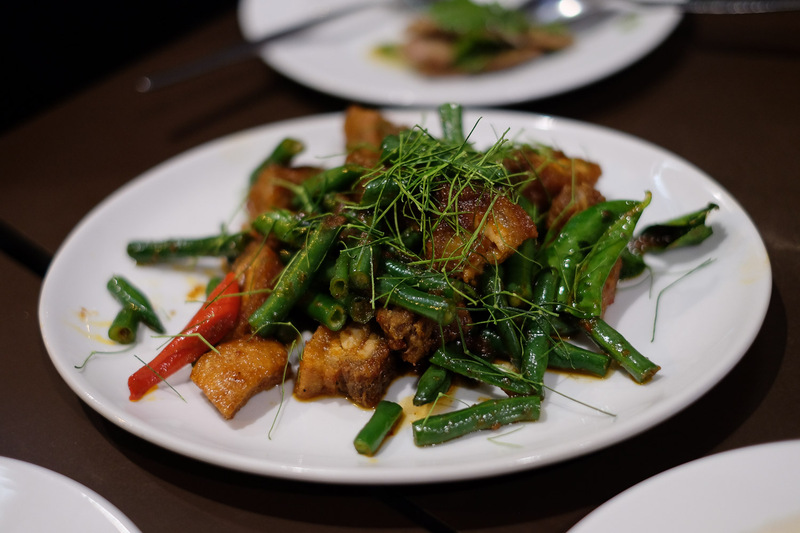 In southern Thailand this dish is often made from a mix of fish entrails and fermented fish paste, but this saucy dish was filled with bamboo shoots and small pieces of beef and the noodles, with raw green beans and bamboo shoots helping cut some of the heat. More crisp food, this crispy fish fillet Samoon Pri ($19.90) was tamarind sweet, although the sauce is billed as 'spicy lime'. 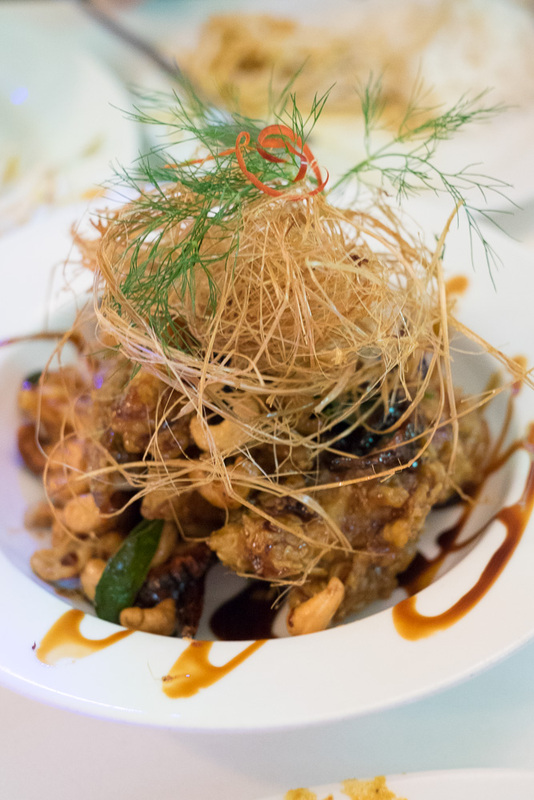 The crunchy fish pieces were topped with deep fried shreds of something stringy but quite inedible, perhaps coconut husk. 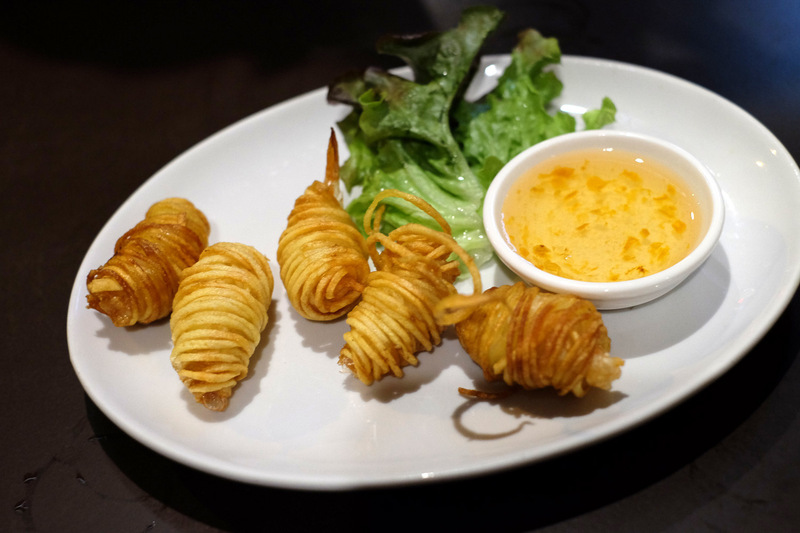 Second time round we try the prawns wrapped in potatoes, served with a sweet dipping sauce. Five of these crunchy buggers does the trick for $9.90. 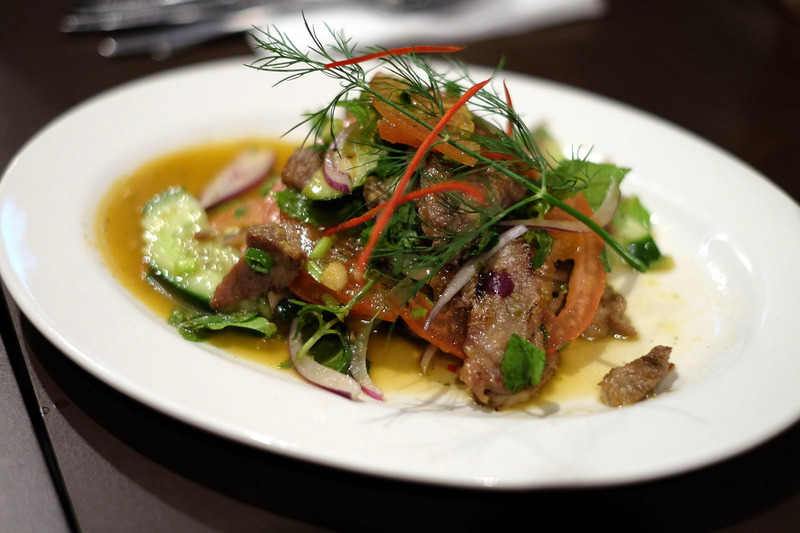 We couldn't decide between a plate of grilled pork neck meat or a salad, so we got both together ($15.90). The sour, sweet and spicy dressing caused some additional spoon dipping and a quest to one day make a Thai salad dressing as good. Crisp fish with basil sauce ($16.90) was three or four largish fish fillets, coated and deep fried and served with a tamarind brown sauce and Thai basil. 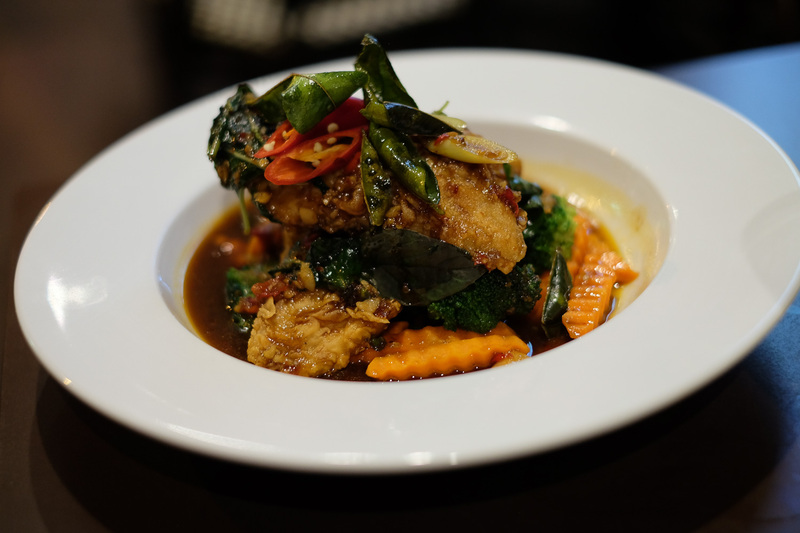 Last of all is Alison's secret Thai guilty pleasure, pad prik king moo krop ($16.90), kind of like butter chicken is most peoples secret favourite Indian food choice. This version has pieces of crisp pork belly so crunchy you didn't know which bits were skin, fat or meat. Crackingly good. This post was brought to you by the famous Lardarsious J. Pussycat of Abercrombie Street. 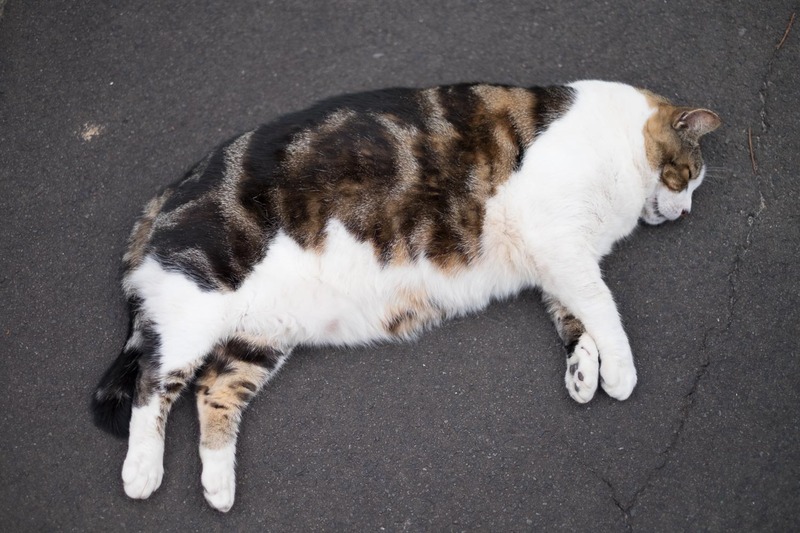 This cat is getting fatter and lazier by the day. Happens to the best of us. Sabb Verr is in the glorious Chamberlain Hotel, 428 Pitt Street (Corner Champbell Street), Thaitown. The stuffed dingo that once presided above the bar is now long gone. Yes, have always known this place as "The Dingo" so it is a shame that the stuffed dingo has disappeared. A part of Australian history. I think most people would be hard pressed to get the reference these days too! YES! Fat cat makes an appearance on b-kyu. Also looks yum, keen to try this out.